Let’s pretend that a disaster just happened; an earthquake near your home that has leveled buildings and killed hundreds. Thankfully, you’ve survived, but what’s going to happen now? You probably have a good idea of what life will be like after a disaster. But you might be wrong! A lot of research has been done about the human condition during and after a disaster and the findings might surprise you. 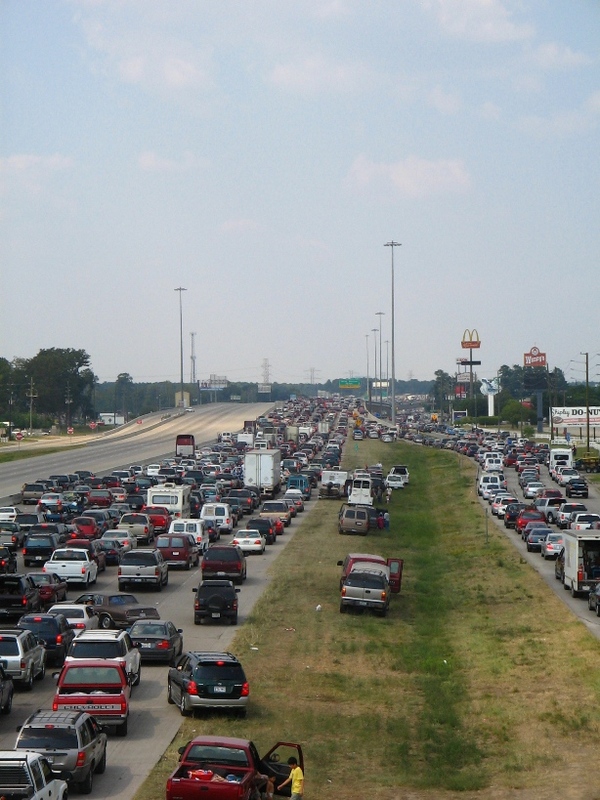 One of the biggest myths about a disaster is that there will be mass panic. We’ve seen countless movies and TV shows where people forget the needs of others and adopt an “every man for himself” mentality. This self-interested survival behavior is typically referred to as panic. Related article FEMA Denies Camps Are Planned “Herding Points” For Proud Patriots. But Their Plan Is Actually Worse! 1. A person perceives an immediate threat to self or significant others. 2. A belief that escape from the threat is possible but that routes are closing rapidly. 3. A feeling of helplessness in otherwise dealing with the threat, particularly when others are not able to help you. It’s interesting to note that if the person believes there is no hope of escape, such as with a mine collapse, no panic occurs. Take a famous example, the sinking of the Titanic. In 1912, the RMS Titanic collided with an iceberg and sank in 2 hours and 40 minutes. Within a few hours, 75% of the women and children passengers were saved on the ship. When given more time, passengers did what they was chivalrous and saved the women and children. Compare that to a not-so-famous example: the sinking of RMS Lusitania in 1915. The boat was hit by a torpedo and sank in a matter of 18 minutes. The boat was made up of the same demographic of passengers who had the same views of chivalry and social expectations. Surprisingly, the survival rate was similar (31.3% vs 38.5% respectively). This time though, the threat was imminent and those in their prime age (ages 16-30) had the highest rate of survival. The chance of survival didn’t improve based on gender but instead on age and health. So why do we believe in panic? There are a few reasons, but most of it is because that’s what we expect. In 1977, a fire at the Beverly Hills Supper Club in Southgate, Kentucky, resulted in 164 deaths. Newspapers at the time carried headlines such as “Panic Kills 300,” “Panic and 300 Stampede to Death,” and “A Killer Called Panic.” However, an investigation by the National Fire Protection Association found that most deaths in the event did not occur because of panic but instead occurred because of a lack of seriousness regarding the fire warning. The club’s Cabaret Room, where the performing comedian continued on stage after the announcement of a fire, is where most of the deaths in the event occurred. Think of any time a fire alarm has gone off in your home or at work. Your first reaction isn’t to immediately evacuate the building. You usually investigate where the fire might be to see if there is a real threat or not. Many times you’ll ask a co-worker whether this is a real fire or just a drill. Most people fear that panic after a disaster will cause people to act selfishly and disregard the people around them. Researchers have found however, that social bonds are usually not broken during a disaster or emergency. Instead these bonds are solidified and even created. Separation from family can actually cause more stress during an emergency. Families will often delay emergency evacuations until all family members are accounted for and safe. Even during a disaster, strangers bond over a sense of danger and fate. Reports of selfless acts also increase during a disaster. In most major disasters, the first search-and-rescue efforts are performed by disaster survivors within the community. After a tornado in Wichita, Texas, in 1979, only 13% of the 5,000 victims reported that they had been rescued by someone they recognized as belonging to an emergency organization. You’re probably thinking, “Yes, that’s great but I’m not worried about people during an emergency. I’m worried about the aftermath of an emergency!” A widespread belief is that looting, stealing or other lawless behaviors such as violent crimes are very common after a disaster. However, extensive research has shown that there is no evidence for this fear and that this type of behavior is extremely rare – especially in highly urbanized and industrial countries. The belief of looting is that a disaster offers a perfect opportunity for the surfacing of the criminal’s devious behavior. They speculate that survivors and their homes are easy targets because their guards are down and during an emergency, property crimes will rise, violent crimes will increase and exploitative behavior will be widespread. However, the evidence doesn’t lend any support to these ideas. If you compare the crime statistics of a normal day to the looting reported during and directly after a disaster, the numbers show that looting is far less common than crime on a regular day. In fact, the vast majority of arrests for looting were around stores instead of residential homes. Learn how to defend your family and your propriety. Interestingly, more than 58% of the impacted population in a disaster area will hear a news or media report about looting in their area. News agencies in the area will typically highlight reports of the deployment of security forces in the area to prevent looting. The idea of looting is so prevalent that government officials will typically utilize their forces to prevent looting without demand because they think the public expects it. But we’ve all seen looting in the news right? So we know it does happen. But in reality, the reasons for looting are very different than you might assume. In fact, looting after disasters is a very rare occurrence. Typically, looting is more common with civic protests than with disasters. Most often, rioters will begin looting because of years of what they perceive as social injustice. In the past, we can see that looting occurred in communities where unemployment and underemployment are very high. The community feels frustrated about lack of resources, powerlessness and feeling that they have been denied access to common goods for years. Interestingly, looters don’t usually act alone. Because of the community’s feeling of injustice, they will bond together and take out their frustrations on businesses, homes or locations that they believe symbolize this injustice. For example, in the 1980 Bristol riots, many shops were untouched because they were regarded as part of the community. A bank, on the other hand, came under heavy attack because it was perceived as a symbol of authority. The looters view themselves as a mob of justice, finally having the power to rectify the injustice that has been done to their community. The group is usually led by a small number of people who decide where the rioters should move and who deserves to be looted. Rioters and looters will most often stay in their own community. Media want to report on things that are noteworthy, so they will often report about lawlessness in a disaster because it has a direct connection to the society at large or even governmental policies about law in a disaster. 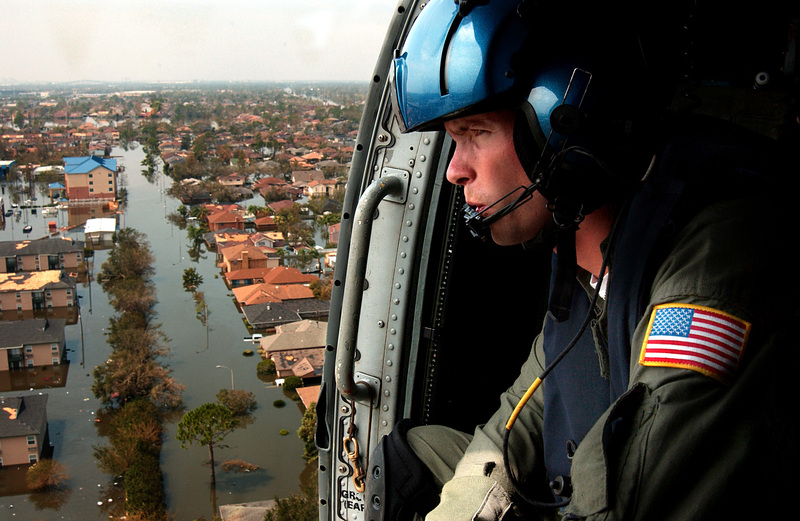 Even during the aftermath of Hurricane Katrina, looters and lawbreakers were vastly over-reported in the media, which forced the government to deploy troops to prevent looting instead of rescuing stranded families. This isn’t to say that the media’s representations of disasters are all bad. In fact, many of the reports are very accurate. The media dedicates lots of resources to covering disasters and many times helps locate victims, reunite families and shed light on unique situations after an emergency. However, much of the reporting is highly oversimplified and ignores the diversity of victim responses to the disaster. Most of the media frames victims in one of two ways; that they are thugs taking advantage of the disaster or they are helpless victims stranded after the storm. Many people assume that looting is common after a disaster because of the lack of resources after an emergency. 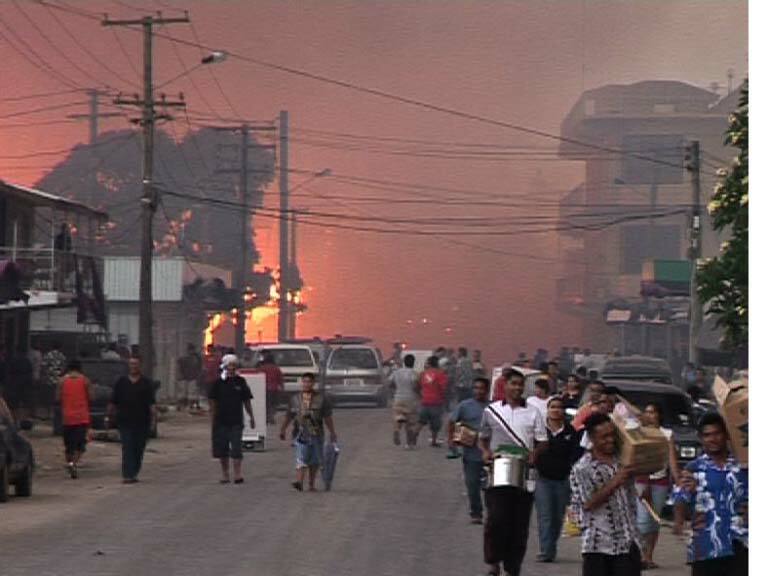 They assume that people around them will not be prepared and will become desperate for food or other necessities. A survey in 2012 showed that up to 76% of Americans would be willing to share their own resources or supplies. Over 42% of respondents said they would share their resources with neighbors that they knew well while 29% said they would share with acquaintances they didn’t know so well. Only 3% of respondents said they would not share with anyone. In the event of a catastrophe, who would you be willing to share your own resources or supplies with? Please choose all that apply. Most people believe that the grieving process is a series of stages – denial, anger, bargaining, depression and acceptance. We’ve been taught that we have to “work through” these stages of grief. However, most psychologists are finding the opposite. They are finding that instead of these stages, people will bounce in and out of grief with intense moments of emotion – either good or bad – and the emotions will slowly work themselves back to normal levels. While most people assume that the grieving process takes months or years, psychologists have shown that most people overcome grief in a matter of days or weeks. For example, a study of New York City residents soon after the Sept. 11 attacks showed that many of the respondents did in fact, show symptoms of PTSD, especially those that were directly involved in the incident. However, the majority of those respondents – 65% – self-reported that they had experienced no trauma related symptoms since the attack. They were not able to see the symptoms in themselves. Another study of Israeli citizens assessed during and after rocket attacks on their city, focused on symptoms of PTSD. During and directly after the attacks, psychologists estimated that 20% of the respondents had PTSD. However, within two months, the number had decreased to only 3% of the population. Humans are more resilient than we realize. The best thing you can do to help others is listen and talk with them. Grief has been shown to diminish quickly with a few different factors including the support of a spouse or family, having a higher education and with older age. More than anything, research about human psychology during and after an emergency shows us that we need each other. Humans are very social and as such, depend on each other for support and comfort. 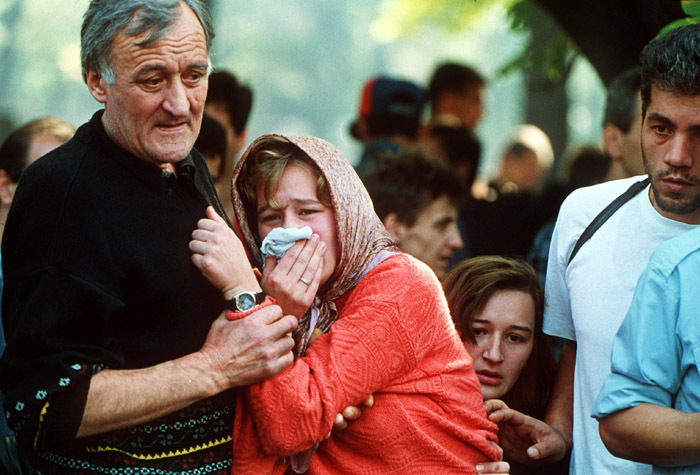 While most people assume that there will be mass panic and it will be “every man for himself,” history has shown us that humans, instead, bind together and help one another in the worst situations. What do you think? Comment below and tell us your thoughts.